I generally stay clear of bicycle helmet discussions. I explained a bit about my views on helmets and helmet discussions in the first few paragraphs of this talk on cycling safety, and I mostly left things at that. However an unusually civil discussion of the helmet wars over on the iBOB list led one the fellows there to email me asking for a bit more info as to why I choose to wear a helmet. This blog post is in response to his query. And I did find it odd, wonderful and somehow typical of the iBOB list that the helmet war thread there morphed into a battle of dueling haiku. I wear a bicycle helmet when I'm riding my bicycle not because I've been swayed by statistics or compelled by law. 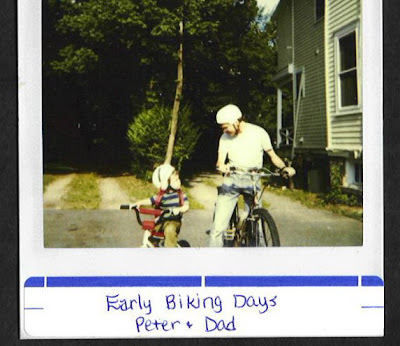 I recently was looking at a nearly 20 year old photograph of my son and I. Peter's helmet is too far back on his head and my helmet wouldn't pass today's impact tests but we both wore helmets then and wear them now when we ride. Most of the people I know who choose to ride without a helmet have some complaint about the comfort or fashion of the helmet and then say they are not swayed by the statistics regarding their efficacy. I guess I don't have the comfort or fashion issues and in fact I find helmets useful. I'm not swayed by reasons not to wear a helmet. One argument against wearing a helmet that I've heard is "you don't wear a helmet while walking or driving a car, why wear one when you ride?" Here's what I see as the difference. I walk at 3 miles per hour and I'm a pretty stable biped. I usually walk in environments where I'm not surrounded by large objects moving at high speed. There are not a large number of potential interchanges of energy when I'm walking. If I do trip and fall, I'm wired by years of evolution (or if you prefer, some sort of intelligent design) to react accordingly (at least I hope so). And the ground I walk on is usually softer than the street. When I'm on a bike, I've already opted for one mechanised enhancement, the bicycle itself. This changes my average speed from 3 miles per hour to 12. I've upped the potential energy I myself bring to any potential collisions. My the contact patch of bike tires are smaller than my footprints. And I'm often in an environment I share automobiles that are bigger, faster and bringing more of that potential energy to any sudden interactions we might have. So why not wear a helmet in a car? Because a car pretty much is a helmet. It has crumple zones and airbags, things designed to absorb impact. Like a bike helmet is designed to do in a crash. But we never wore helmets as kids and we survived our youth, some folks say. Yep, lots of people live doing all kinds of things. As a youth I had a classmate who lost control of his bike, crashed and died. I have no idea if he would have lived if he'd been wearing a helmet, but I do know he's not now a person who can say that he survived his youth. I do know that I've found my helmets to be handy on a couple of occasions. I documented one of those crashes here. The other incident was a bicycle crash involving no cars or drivers. 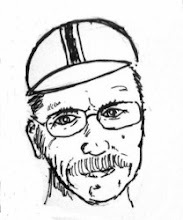 I was young and in too much of a hurry, racing home on a bike path with poor sight lines. Another fellow was doing the same thing coming the other way and we both tried to course correct to the same side of the path and went down. My helmet cracked on the pavement, my skull did not. I found that worthwhile. Will a helmet save you in every crash? Of course not. Can it be handy in some situations? I've found it so. Should you wear a helmet? I think that's your choice. Just because I wear a helmet doesn't give me the right to tell you what to do. If you're endangering others by doing something like driving 200 miles per hour down the public streets, then I'll probably vote for a law saying that you shouldn't do that. But if you are taking a bit more risk than I would, by paragliding off Tiger Mountain or eating week-old sushi for example, I think you are the best person to decide that. I like being able to choose my risks and make my choices. I'd hate for someone else to decide it's too dangerous for me to bicycle to work. As parents Christine and I learned that kids don't always pay much attention to what you say, but they sure as heck notice what you do. If you're a parent and you want your kids to wear a helmet, wear one yourself. But don't ask me to vote for a law telling you how to raise your kid. I still think there are many more things you can do to make cycling safer than just wearing a helmet. But I don't favor laws stating that you have to read "How Not To Get Hit By Cars" or take a LAB course or use a rear-view mirror. And I don't favor mandatory helmet laws. My new commute to Bike Works features some nice switchbacks in Colman Park, a run along the tree-lined banks of Lake Washington and those wonderful views of the mountains which just never get old. Here are a few pics. Pablo Picasso made his classic sculpture in 1943 but I'm partial to this whimsical homage that hangs over the classroom door at Bike Works in Seattle. "The bus driver or office building manager will never know it's not a French horn." 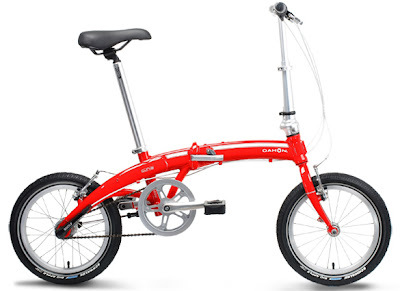 While I don't own a Tikit, I do have a similarly compact folding bike, the Dahon D3. Like my Tikit owning friends, I've learned the value of a bit of strategic misdirection. Once the proper techniques are mastered, a folding bike does not have to be left outside, prey to the scum and villainy of the street with only a u-lock for protection. Your bike can stay with you, handy as a general purpose droid, ready for the next adventure. The folder can go with you into the cantina, cloaked to wait patiently under the table. A folding bike can speed with you in the big transport units of the city, provided of course, that you can get past the storm troopers at the door. Folding bikes exist in two worlds. 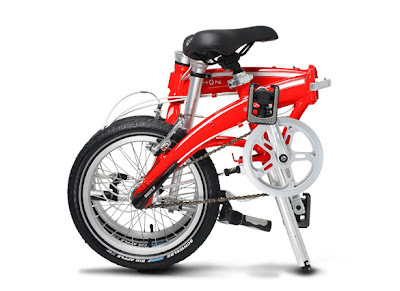 Fully deployed as a bicycle, this small machine is bright, quick and clever. It is often the object of comment and question. But in its folded state, the machine endeavors to be ignored or at least misconstrued. Some buildings and transportation systems are prejudiced against bicycles and they have rules made by bureaucrats who fear grease or tracked in dirt or maybe just machines they do not understand. The gatekeepers at the doorways did not make the rules and have no power to change them. The doorway is not the place to debate the fairness of the world. Doorways exist to be passed through quickly, with a minimum of fuss. This is where a bit of nylon and Jedi skills come in handy. You don't have to make the gatekeeper think your bike is a French horn, you only have to make him not think about it or at least not think that your bundle is a bike. A thin bag of nylon weighs only a few ounces and folds into a perfectly portable package. Unfurled it can cloak the entire machine in a layer of ambiguity. The bike is no longer a bike, it's a sack of something. Cloak your machine before the encounter and if you have a helmet for gosh sakes have the sense to hide it. Step boldly through the door. Your bundle is so minor, so incidental you can't imagine why it would be questioned. You don't have to say anything about the bundle. Let the storm trooper work out his own scenario. It's often handy to ask your would-be interrogator some minor question about the bus route or the nearest coffee shop while thinking, "Move along, please. There's nothing to see here. 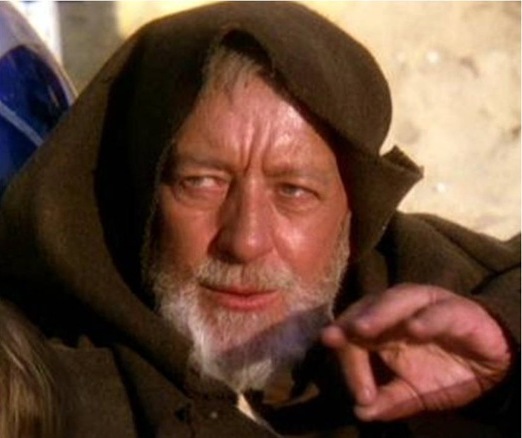 These aren't the droids you're looking for..."
Nineteen times out of twenty you'll pass by without incident. If you get an unusually persistent inquisitor the phrase "folding exercise machine" may prove handy. Risk-taking behavior is a potential confounder in all observational studies of injury and is difficult to measure reliably because of the likelihood that participants will provide socially desirable responses. "Reverse causation" can also complicate cross-sectional analyses, if outcomes influence exposures. In this study, such a mechanism would be expected to reduce associations rather than inflate them—for example, a bicycle crash may prompt a participant to use fluorescent clothing. In other words, if you're prone to be a risky rider you probably won't identify yourself as such and if you've had an accident you might load up on safety gear. And I personally think one huge confounder might be this: folks who think a lot about safe riding will probably be far more prone to be swayed by safety considerations in the purchase the fluorescent gear. Riders may not be safer because they are wearing the bright colors, they may be wearing bright colors because they are more safety conscious riders. While it is very hard to allow for all the confounding factors, both studies suggest that brightly dressed riders have lower crash rates. In any case, I figure my habbit of wearing a bright yellow vest while riding can't hurt. It's hard to build up any speed when you have to keep stopping to sign autographs. 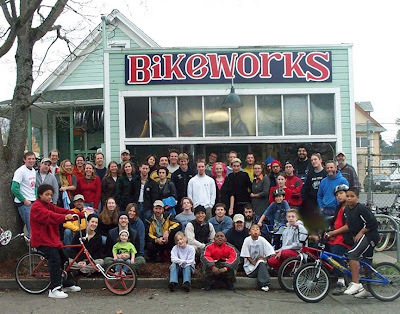 If I wasn't so darn well suited for my job at the Bicycle Alliance of Washington, it's a pretty safe bet that I'd be working at Bike Works. Dara and her crew not only do terrific work, they consistently demonstrate just how much fun it can be to change people's lives through bicycles. Every time I volunteer at Bike Works or work with them on a project, I'm reminded that the velorution is happening right now. Whether it's teaching kids to fix stuff or getting people rolling on rigs that cost less than what most folks spend on a monthly car payment, the lessons are the same: this is what's possible, this is what's practical and this is how you do it. First off, if I was really smart, I'd figure out some way to get a kickback from Dahon. I'm not that smart. My friends have figured out that I really like my Dahon D3. I think the fact that I ride so many places on this bike tips them off. Now you have to understand, I have bikey friends and they are used to seeing me show up at places on a bike, but somehow they are still surprised when I show up on the Dahon instead of one of my bigger bikes. Especially when the places I show up at are miles from my home. "You rode here? On that?" they say. It's like they think I'm making some kind of sacrifice. Surely my bigger bikes are better? I think my ongoing interest in the sufficient, as opposed to the optimal, is part of what explains my preference for the Dahon, but the simpler answer is that the bike is fun. The little wheels are zippy; they spin up to speed quickly but by the same token, they don't tend to hold speed as well. The bike feels quick, it is quick, but it doesn't seem fast like a racing bike. It just seems fun. It is impossible to have Lance Armstrong fantasies on a Dahon D3. You are sitting more upright and you look too big for the bike. On some forum I read that riders on folding bikes look like they "rode out of a Dr. Seuss book." That writer has a point, but it's a point I gladly embrace. Dr. Seuss would understand. I ride my red bike everywhere. On the street folks question us. "How fast does that red bike go?" "As fast as I pedal, don't you know." "Does it have the gears you need?" "I've found three give needed speed. One for riding in the town." "Can you ride it in the night?" "Yes, I have a little light." "Do you ride it near and far?" "Yes, every place you'd take a car." "Can you take things on your bike?" "A rack and sack hold all I like." I ride in sun, I ride in rain." I never put gas in a tank." I ride and eat then ride some more." I'm glad I have this folding bike." Wow is this a great idea! I can't quite convince my wife that it's worth a trip to Utah to do this ride (and besides The Fat Cyclist is probably right that he will win it) but by golly we have donut shops in the Pacific Northwest too. 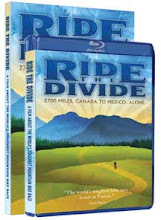 Maybe we could talk the Black Diamond Bakery into sponsorship for a Puget Sound version of this race? Dan Gutierrez recently put this video up on YouTube. I think this video does a very good job of presenting a lot of key concepts of safe cycling in under five minutes. The League of American Bicyclists has been doing some very good, multi-day safe cycling courses for years, but short bits like this one can wind up reaching a lot more people. We had a great group of riders, great weather and a great time on the Sheldon Brown Memorial ride in Seattle last night. Thanks so much to everyone for showing up.